Better change, quality, well-trained, leading, credible, competent – these are few of the words that best describe the K+12 Basic Education Program. It has been implemented and everyone is expecting for a better-trained and competent citizens of the country. This program gives advantage to Grades 11 and 12 having an option whether to push through academics, to go to sports if they are inclined or to be equipped with skills that the job market needs. A plan to shorten the 4 year cycle in college into 3 year gives way to senior high to learn the basics. Before the program was implemented, Philippines is one of the few countries that has 10 years of basic education system (6 years elementary and 4 years in secondary). With this short period of time, Filipinos were deemed to be incompetent towards the growing demand and integrated global economy. The countries like Japan and Korea are two of the Asian countries that provide best results in terms of education. However, this program received a lot of criticisms especially from the parents and a few from the students – well, that is inevitable! Feedback from parents of affected and will-be affected parents and guardians were heard during the General Assembly of the school’s Parents and Teachers Association. A mixed reaction was obviously seen and heard. Some said that this might only be an experimentation stage that might possibly be changed with the election of another President. Situations of universities and colleges would be undertaking during the two year transition period were also questioned. On the other side, comments of additional learning on the part of the students with the implementation of the K+12 were also highlighted. It is true that this would be “somehow costly” dubbed by the parents since the years of learning are extended. Some say that the number of years increased but the quality of education is just the same – which seems “useless” then. Students may be tired of studying, thinking that it would be a long journey for them before they get their jobs. Negative or positive assumptions, this program provides a QUALITY that students need. Bottom line is, we need to support this program rather than criticize it. It is a reality that some are contented and many are not. Any curriculum is worth the try. If implemented thoroughly and completely. Albert Einstein once uttered that “Education is what remains after one has forgotten everything he learned in school”. As far as revolutions go, the explosion of social media across our planet is probably one of the most significant. Social Media’s unique point in popularity is hardly surprising. Not only has it completely transformed the way we communicate, the sharp richness and immediacy of content now at our fingertips is nothing short of a miracle. But the upsides of social media far outweigh the occasional annoyances. The thing is, there are people who do care, even about the trivial. While technology has undoubtedly enhanced our lives in many ways, the innovations of tomorrow promise something even more profound. Were on the verge of a dramatic transformation that will unleash our creativity, strengthen our connections to the people who are important to us, and change the way we understand and interact with the world. Imagine the world where almost any surface will be digital display that delivers exactly the right information based on your preferences. Your office desk becomes the surface on which you can see your day’s schedule, or check for up-to-the-minute news on the internet. Your car can point you in the direction of the least expensive fuel while selecting the music that’s sync with your mood. You will even be able to help your grandmother blow out the candles on the cake at her 90th birthday, despite being on opposite sides of the world. Upon knowing the rationalization plan, many people were confused and some have questions. So, what is really this CSC Memorandum Circular Number 03 series 2014? On December 3, 2014 the Department of Education disseminated DepEd Order No. 53 s. 2013 specifying the step by step process of the rationalization program. It was a program mandated in October 2004 through Executive Order 366, which the DepEd revisited in December 2011 “in light of long term reforms needed in the education sector notwithstanding fast-changing demands of the local and global environment”. The said Executive Order prohibited the hiring and rehiring of personnel during the plan preparation, which explains the vacant items. But the situation is different on the ground, where more teachers and non- teaching staff are actually needed. Moreover, the Rationalization program is a move to transform the Executive Branch into a more effective and efficient government. It aims to focus government efforts on its vital functions and channel government resources to these core public services; and improve the efficiency of government services, within affordable levels, and in the most accountable manner. The scheme aims to rid the department, the country’s biggest bureaucracy with 500,000 teaching and non-teaching personnel nationwide, of the redundant functions as part of the government’s streamlining policy to reduce budget expenditures. The affected employees meanwhile may either be placed in a comparable position or choose the status of co-terminus to the incumbent (CTI). Under the CTI, an employee gets to keep his/her item with the same rank, salary grade and benefits until she/he chooses to retire, resign or if she/he gets appointed to another position. Furthermore, the CTI scheme allows an affected regular employee who is currently 40 years of age were given option to choose whether to keep his/her item until she/he chooses to leave government service or to retire at the age of 60-65. By then the vacated item will no longer be filled up. Therefore, contrary to reports that thousands of employees will lose their jobs due to the rationalization program. On the contrary, this will even usher in the hiring of new people since there is no mass and forced resignation of people who work in DepEd. The main purpose of the country’s program of rationalization on the executive branches is the government quest for globalization of the country’s basic product and services. 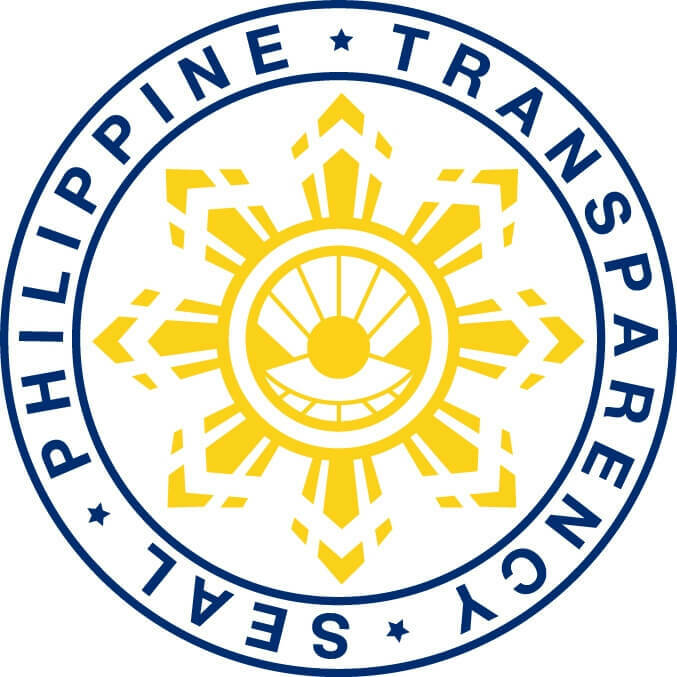 It encourages its branches to look into its structure and make strategic changes on its organizational structure and staffing that will focus on the core governance function of the agency and improve its performance in service delivery and productivity as mandated by Executive Order (EO) No.366. Pursuant to DepEd Order No. 53, s.2013, the Department of Education Rationalization Program was approved by the Department of Budget and Management last November 15, 2013 and the management is given only a maximum of four (4) months from the date of its approval to position its employees in the new staffing pattern. The positions affected are those in the plantilla occupying permanent positions in the central office, regional offices, school division offices, and its casual and contractual employees under Personal Services fund, whose appointments were attested by the Civil Service Commission. All positions (teaching and non-teaching) in the schools, DepEd-ARMM, those funded through MOOE and of Foreign Fund are not included in the Rationalization Program of the department. The Malaybalay City Division has already identified positions which will be abolished, merged and created under the DepEd RATprogram. Affected employees (non-teaching Division Personnel) of the program have options of whether to remain in the department under Co-terminus with the Incumbent (CTI) status wherein the employee may express his intention to apply for the newly created position (following the placement process) if they qualify or remain in his present position, another option is to retire or be separated from the government service with incentives under E.O. 366. To further explain the two options stated above. First, those who choose the option to retire will receive an additional incentive of not less than Php 50,000 under E.O. 366 aside from the regular benefits they can get from the GSIS and other regular terminal leave benefits. However, they are not allowed to apply in any government agencies for the next five (5) years except in the hospitals and public school which is not included in the RAT program. The second option is for those who opted to remain in the government service under CTI status wherein they will be retained in their current plantilla item with the same salary grade and are still entitled to receive step increment and all other government benefits attached to their current position. They will be holding their own plantilla item until the date they opted to retire, resign or be appointed to a higher position and at the time they will leave their item such will be abolished or no replacement will be made. In addition to this option an employee may express his intention to be placed under comparable positions if they are qualified following the placement process provided that it may be within the same job group, or up to three (3) salary grade higher only. However, those who are interested to apply for the new or higher vacant positions, they can choose CTI status while applying for the position they aim for in the new structure. If ever they don’t get appointed, they can retain their CTI status and if luckily they will be appointed in the applied position their old item will be abolished. This is how this RATprogram will go through. Hope this will give light on so many questions regarding this program. 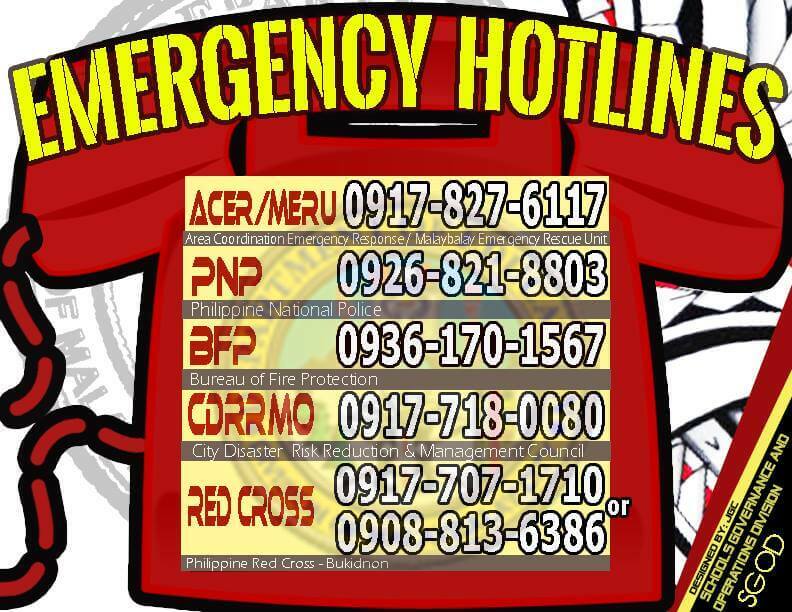 Good luck to all affected personnel. 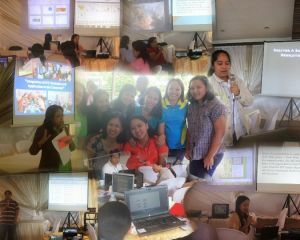 To enhance the Teaching-Learning Process and meet the challenges of the 21st Century, The Malaybalay City Division conducted a 2-Day Training–Workshop on the Integration of Information Communication and Technology (ICT): Strategies and Application in the Classroom at Loiza’s New Hall, Malaybalay City, Bukidnon last February 7-8. The said event was initiated by Mr. Edilberto L. Oplenaria, Schools Division Superintendent and was organized by the Division Planning Officer II, Mr. Paul John P. Arias and staff. The resource persons who shared their skills and expertise are Ms. Julie Mae A. Minguez, Teacher I of Sumpong Elementary School, Ms. Amor Celeste S. Pasamonte, Teacher III of Malaybalay City Central School, Ms. Leny G. Ama, Principal I of BCT Elementary School, Mr. John P. Rarogal, Teacher III of BNHS- Aglayan Annex and Mr. Everardo C. Calopez, Master Teacher I of Bukidnon National High School. 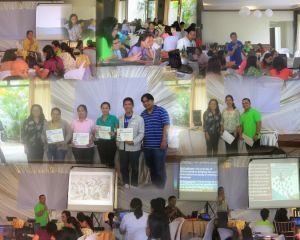 It was participated by 44 identified recipient schools of the DCP E- Classroom P ackages; A total of 140 participants joined the training composed of the School Heads, School Property Custodian and School ICT Coordinator per school in both elementary and secondary levels. Every school was required to submit workshop outputs at the end of every session. Two selected participants conducted actual demonstration teaching, namely; Ms. Jardiolen T. Carbajal, Teacher II of Casisang Central School and Mr. Vicente G. San Miguel, Teacher I of San Martin National High School.